As a Saint Louis corporate housing provider, we have “boots on the ground” and know what some of the top-rated attractions are in the area. You don’t need to feel like an outsider just because you’re from out of town. Visiting the local hot spots and getting involved in the community will make you feel more at home. Arguably the most iconic symbol in all of Saint Louis, the Gateway Arch is a must see during your visit. Peaking in height at 630 feet, this monument weighs 43,000 tons and was built 63 stories high. This incredible landmark pays tribute to the role that St. Louis played in the America’s expansion. After you reach the top of America’s tallest man-made monument, you can come back down and explore the Museum of Westward Expansion. If you want to kick back and relax instead, board a riverboat cruise at the Gateway Arch. 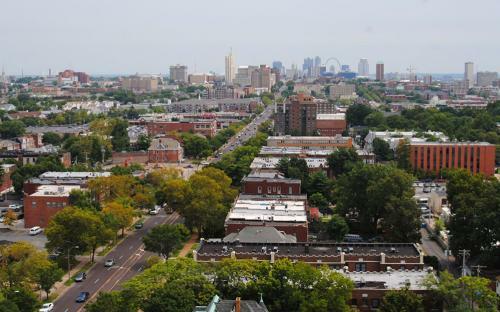 It’s a wonderful way to get a holistic view of downtown St. Louis and enjoy stunning views in the process. Pair this monument, museum, and cruise with other local attractions to make the perfect day trip. If you’re ideal day involves a little bit of history, be sure to check out the Old Courthouse. Much like some of the other historic properties in St. Louis, this building is known for its architectural charm and powerful backstory linking back to Dred Scott and the Underground Railroad. The arch, museum, and courthouse are all a part of the Gateway Arch National Park in Saint Louis. You can join the National Park Service on-site for “Daily Ranger Talks” if you want to learn more about these historic sites. Whether you’re in the mood for a cold drink, a hearty meal, or a midday snack, St. Louis is loaded with popular restaurants and bars. Let’s take a step back and look at the evidence. This city housed the “St. Louis World's Fair” in 1904, where our favorite food and drinks in American culture were born. Who wouldn’t want to stay in a corporate apartment near the place where the famous peanut-butter-making machine was invented? Real talk – it’s hard to find a local restaurant or pub in downtown St. Louis with bad reviews. And there are a ton of different venues to choose from depending on the type atmosphere you want to be in. Washington Avenue offers something to satisfy everyone’s taste buds, including signature cocktails, American classics, and perfectly-seasoned Italian cuisine. Grab a brew at a casual dive bar (and play some pinball while you’re at it!) or enjoy an outdoor meal and take in the fresh air. On top of these retail options, downtown St. Louis also has a thriving business community with vibrant energy and growing potential. We recommend that working professionals choose a corporate apartment in close proximity to the city’s center. Maintain your work-life balance by working somewhere that has the best of both worlds: a strong business foundation and plenty of outlets for entertainment. Since each client is actively involved in the decision-making process, our St. Louis corporate apartments are tailored to fit individual wants and needs. If you’re an adventurer, we’ll make sure your Saint Louis corporate apartment is centrally located and close to where the action is. Whether you’re on a business trip, a family outing, or taking some personal time, we want you to feel as fulfilled as possible when you’re in a new city. Let’s face it, the space you choose will become your home away from home.